Kids driving you crazy? This is the book for you. Whether you’re a parent of an eighteen-month-old or an eighteen-year-old, you know what it’s like when kids push buttons and leave you screaming, “My kids are driving me crazy!” When Your Kids Push Your Buttons uncovers the hidden messages underneath your reactions and your child’s. Buttons offers you parenting tools and techniques to gain control of your emotions. You will see your children’s behavior differently so you can respond calmly and effectively. 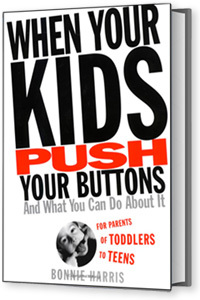 Most of all, you will defuse those buttons and give your kids the help they are asking for. “It’s like helping parents to parent by heart,” says a mom from Seattle. You know the feeling. In a nano-second, a certain look, or a defiant behavior, your kid pushes your buttons and you react in parenting “road rage”. Whether you like it or not, you hear your mother or father coming out of your mouth yelling words you swore you never would say. In this beautiful, wise, and deeply insightful book, international speaker and parenting specialist Bonnie Harris helps you discover what your buttons are, where they come from, and why your children push them. (Note: It has more to do with you than your child.) Learn the 8 steps to defusing your buttons so you can regain your authority, your sanity, and your children’s cooperation and respect. With compassion and clarity, When Your Kids Push Your Buttons is the rare self-help book that offers the possibility of real and lasting change. Effective and inspiring, here is a guide to treating our children with the respect and acceptance they need, and with the wisdom and patience we desire. Autographed paperback available for $20 plus shipping. 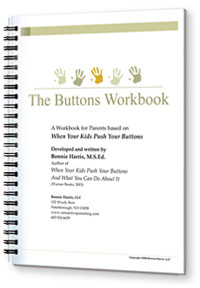 The Buttons workbook follows the parenting course When Your Kids Push Your Buttons. It is a guide to help you put the work of the Buttons book or workshop into your own personal life experiences. It is filled with exercises, questions, complete-the-sentence scenarios, descriptions, charts and diagrams, steps for actions to help you make the work fit your life and family. As well, there are Practices to guide you through your thinking process to remind you of what you can do in the moment. 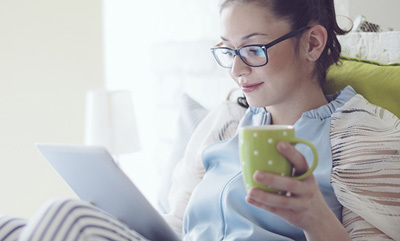 It includes the The Nine Habits to Defusing Your Buttons, a “refrigerator” check list and a template for reframing your own button-pushing situations.